I have too many browser tabs open again, because so many gaming goodies have appeared lately. To avoid browser meltdown and prevent brain aneurysm, I've shared links to some cool things below. You can also Submit or Buy. Eppy posted The Vile Rights & Arcane Rituals Behind Worlds Without Master. For those of you not in the know, Eppy publishes a nigh-monthly Sword & Sorcery zine called Worlds Without Master containing fiction, comics, and games, funded by the Patreon Horde. This article lets us peek into his head to see how he determines when to publish, how he organizes an issue, and how it gets paid for (or doesn't quite). For those of you contemplating publishing, I suggest you invest 10-15 minutes in this treasure trove of information, especially the budget. Found via OSR Today in this cover article, the Tribality blog has posted Star Frontiers 5e Conversion Part 1 which starts translating the TSR Science Fiction setting Star Frontiers into the latest version of D&D ruleset. So far they've only talked about races and classes, but there's more to come. On the RPG Theory front, John Wick draws a line in the sand to define RPGs with his article Chess is not an RPG: The Illusion of Game Balance. In his view, "the focus of an RPG is to tell stories". All the rules trappings that don't support role-playing, including equipment lists, most world mechanincs (as opposed to story mechanics), and worrying about game balance of the characters' abilities within the game, detract from telling stories. I've seen reactions ranging from total agreement to reasoned skepticism to outright rejection, but it makes me think about the core of the RPG experience. I may dig into this topic in another post. 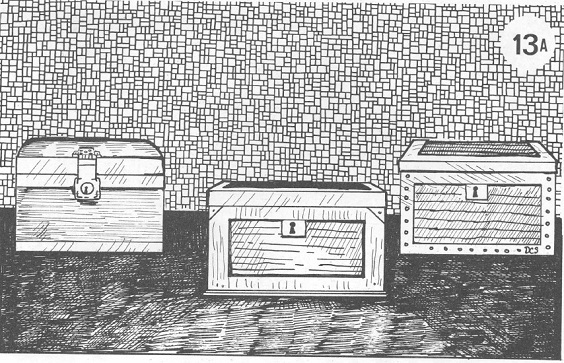 And speaking of RPG Theory, Emily Care Boss of Black & Green Games published an exploration of it in the well-researched article Theory Roundup. If you have any interest in early discussions of theory in RPG magazines, or Nordic LARP discussions at Knutepunkt, or a brief history of Forge Theory, or anything, read this. Be warned: the entire article is studded with hyperlinks, each of which will take you down its own rabbit hole. Over on Medium, John Peterson explores the early history of women's involvement with wargames and RPGs in The First Female Gamers. Medium tells us to set aside 35 minutes to read it, and yes, that seems about right. If you have any interest in the early history of the hobby, invest the time. It's a fascinating read. 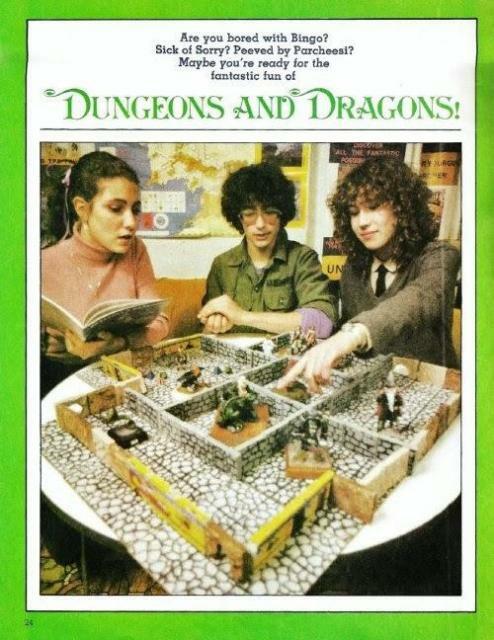 Also in the History of RPGs category, How a Picture of Girls Playing D&D Went from Cool to Awesome by Sarah Darkmagic digs into the history of an early '80s picture that's been making the rounds. It's not an ad, it's the cover art for an article in Dynamite Magazine. The article covers the research on uncovering the origins of the image and includes remembrances about the article from game designers and the photographer who took the picture. Dave Younce shared a very cool map of the Paris Catacombs on G+. If that doesn't get your dungeon crawl muscles twitching and your creative juices flowing, I don't know what will. For a limited time directly from Night Sky Games, Meguey Baker's A Thousand and One Nights PDF is on sale for only $5. As the subtitle says, it's a game of enticing stories, told to entertain and forward your political agenda through innuendo and allusion. There's also a free download of partially-constructed courtier characters for quick-start purposes. For those of you into Monte Cook games, DriveThruRPG is having a sale. You have until 10/10/14 at 10AM Eastern Time to get The Strange Corebook for 50% off, only $9.99. If the Mongoose OGL products are more your speed, take a look at the DTRPG sale page to find five OGL books on sale for just $1.99 each. I might just pick up OGL Steampunk or OGL Cybernet and mine them for ideas since they're so cheap. I edited a couple of projects that became available to the public this week. Firstly, Brent Newhall's The Whispering Road is available to the public (and not just Kickstarter backers). If you ever wanted to play in a world inspired by Studio Ghibli, pick this up. Now available at DriveThruRPG and in PDF & Print at MagCloud. Also take a look at Matt Jackson's system-agnostic supplement Side Treks 2: The Village Volume 1. It details 5 establishments for your fantasy RPG party to part with their gold and get into trouble. Totally worth the investment just to steal the ideas and hand-drawn maps in color and B&W. Now available at DriveThruRPG. If you blog about RPGs and have newbie questions or hard-won wisdom about the hows and wherefores of blogging, come join the RPG Blog Community Discussion community on G+ to discuss all the meta issues that crop up. DO NOT post links to you blog there, or you will be chastised, flogged, and banned.